When I started this book, I half expected it to be like the Helen of Sparta books (review here) and let me tell you…I was wrong. Don’t get me wrong I loved it (like all Amalia Carosella books) but the sexual content in this book surprised me; it was just unexpected, but in hindsight I feel like I should have expected it. I mean Pirithous has always been portrayed as a very sexual being so I guess I should have expected i t.
The storyline was nail bitingly good. I didn’t find it predictable at all, in fact some of the twists had me reading the sentences twice as I was just so shocked. As always every scene was described so vividly came alive to me. The love story aspect of it, kept me rooting for this couple and throughout the book I kept thinking “PLEASE JUST GIVE IN TO YOUR FEELINGS”. From start to end I just kept hoping for a happy ending. Of course having read Helen of Sparta I sort of knew what the ending would be and when I reached it, tears were shed. It was a tragic love story but it was just so beautiful. The cherry on the top for me was the inclusion of Theseus(yes I am still in love with him) and Antiope, and throughout the book, I felt like I wanted to know more, like I was being teased with details but not enough if it makes sense. 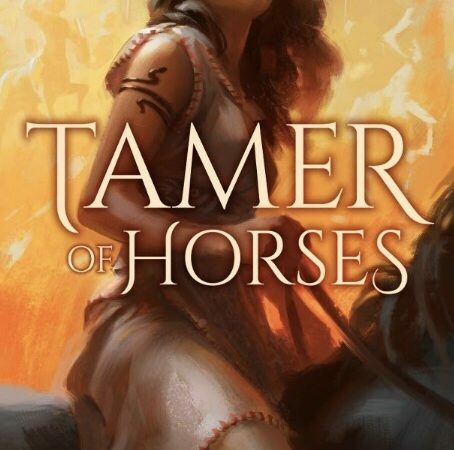 All in all, I would highly recommend Tamer of Horses and I know that I will be reaching for it again and again. I’ve never heard of this book or the Helen of Sparta books , but this review has made me pretty curious. Great review ?. It’s also really cool you got a response from the author! Thank you for taking the time to read it, I really hope you like the books if you end up reading them. I know it’s so cool she replied, I was super excited! ? No problem ? I would be too! I’ll let you know when I get the chance to check it out.